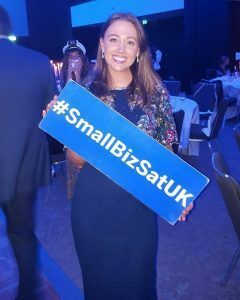 Last week, we had the pleasure of travelling down to London to attend The Small Business Saturday Blue Tie Ball which was held at the Bankside Hilton Hotel. As well as celebrating small businesses from across the UK, the awards were raising money for the Royal Marsden Hospital, a very worthy cause. 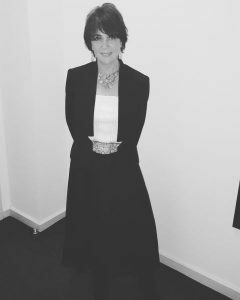 We had a wonderful time, as a busy mum with two toddlers it’s not often we get the chance to get dressed up and we found listening to the stories of other business owners both fascinating and inspirational. Many like us, had started out with a simple idea, developed their business at home before branching out with their own shop/premises. We feel so honoured that Luisco Chocolate has been chosen as one of the 100 small businesses in 2016 that will be promoted in the run-up to Small Business Saturday on Saturday 3rd December. Each day a different business will be featured on their website and via social media, but we can’t reveal which will be our day yet. You’ll just have to wait and see! We always encourage people to buy from small businesses, especially those local to you, but being at the event last week has made me even more passionate about small, family run businesses. Research has shown that 63p from every £1 spent with a small or medium-sized business stays in the local economy, but this drops to just 40p when you buy from a big business. This is definitely something to ponder on. If you buy from small businesses, based locally or elsewhere in the UK, you are helping British entrepreneurs (and their families) create something different and unique. Even if you just buy from one small business it has a knock on effect and you end up helping their suppliers which are often small businesses themselves. Want to make Britain great? Buy from a small business like ours.